Amazon is stretching its gaming muscles as Amazon Game Studio launches its first mobile game. 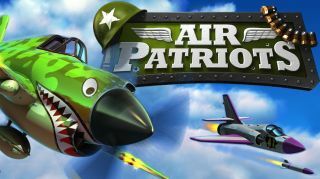 Titled Air Patriots, the game combines elements of the popular mobile game, Flight Control, with strategic tower defense-style gameplay. Players will draw the flight paths for their squadron of planes while defending their base from invading enemies on the ground. On Kindle Fire and Kindle Fire HD, Air Patriots will make use of Amazon GameCircle to track more than 50 achievements. Users can also take advantage of WhisperSync to save game progress in the cloud to transfer between Kindle Fires. Amazon has been growing its game development studios over the last year, starting with the launch of its first Facebook game Living Classics. Amazon in entering the social game space during an interesting time. The once dominant EA and Zynga both shed much of their workforce as the latter also reports substantial third quarter losses. The move to mobile games makes Amazon one of only two companies to make both a tablet and mobile games to play on it. The second is Microsoft, which has its first-party Microsoft Games Studio developing for Surface as well as Windows Phone. Amazon launched its game simultaneously on Kindle Fire and Kindle Fire HD, as well as all Android devices, iPhone, and iPad. It's a free download, which includes the first three levels, and users can get the remaining four levels with an in-app purchase of $2.99 (UK£1.85, AUD$2.87).